What is dignity? Surely it includes respect, honesty and integrity. Dignity implies courage and gravitas. We in the U.S. are living through a crucial historical time. Human dignity is increasingly threatened, public lies are condoned, human rights violations are perpetrated against immigrants and refugees, worker raises are consumed by huge hikes in the cost of basic necessities while worker rights are taken away by powerful corporations. There remains a vast inequality in wages between men and women and between whites and people of color. Basic social programs such as Social Security, Medicaid and Medicare, and healthcare protecting our most vulnerable citizens are cut by Congress and the President. The integrity of the natural world, wilderness, and the importance of addressing climate change is denigrated by our highest officials. Political tantrums on Twitter are so common they hardly raise eyebrows. Who among these politicos will be remembered in the future and for what? Sensationalism and notoriety and the rhetoric of hate are spread across the globe almost instantaneously due to the internet and communication via cell phones. With all our technological strides, what strides have we made ethically as a species? What are the impacts of lies, inequality, greed and violence that demean the dignity and integrity of individuals, races and cultures, that ignore the sovereignty of the natural world? Who is regulating the extremely wealthy who police education? What is dignity in the 21st Century as it relates to human rights, including free speech, freedom of the press, etc. guaranteed by our constitution, our rights to education and health care, as well as the preservation of our natural environment? These are the issues we seek to address in About Place. Send us your poems, prose—stories, short essays, memoir pieces, songs, hybrids, and art work about individual dignity, integrity and honesty. We seek work to counter public corruption and greed, to ICE arrests and the separation of refugee children from the parents at our border. We seek work to counter the takeover of education, agriculture, the workplace, and health care by wealthy corporations, work to counter racism, sexism, ageism, homophobia, xenophobia, discrimination against vulnerable populations, and the degradation of the natural world. Remembering Alice Walker’s admonition that “Nobody is as powerful as we make them out to be,” we at About Place are looking for work that stands against corporate and governmental tyranny and lies as we provide a forum for a discussion of dignity, integrity, respect, equality, caring and honesty in the 21st Century. 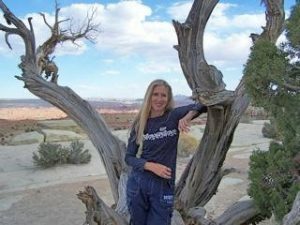 Political activist and wilderness advocate Pam Uschuk has howled out six books of poems, including Crazy Love (Wings Press 2009), winner of a American Book Award; Finding Peaches in the Desert (Tucson/Pima Literature Award); and her most recent, Blood Flower (Wings Press, 2015), which was one on Book List’s Notable Books. Translated into more than a dozen languages, her work appears in over three hundred journals and anthologies worldwide, including Poetry, Ploughshares, Agni Review, Parnassus Review, and Gargoyle. Among her awards are the War Poetry Prize from Winning Writers, New Millenium Poetry Prize, Best of the Web, the Struga International Poetry Prize (for a theme poem), the Dorothy Daniels Writing Award from the National League of American PEN Women, the King’s English Poetry Prize and prizes from Ascent, Iris, and Amnesty International. Editor-In-Chief of Cutthroat, A Journal of the Arts, Uschuk lives in Tucson, Arizona. 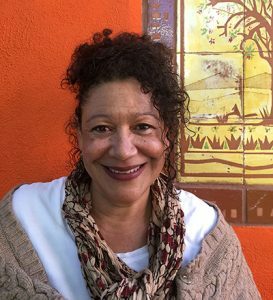 She’s been Director of the Salem College Center For Women Writers, taught poetry for years on Native American nations, was Associate Professor Creative Writing at Fort Lewis College and was the John C. Hodges Visiting Writer at University of Tennessee, Knoxville. CMarie Fuhrman is the co-editor of the anthology Native Voices (Tupelo,2019) and the forthcoming chapbook of poems Camped Beneath the Dam (Floodgate,2020). 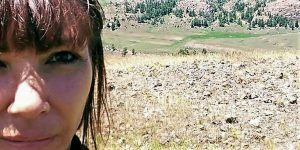 Her poetry has appeared in The Yellow Medicine Review, Cutthroat a Journal of the Arts, Whitefish Review, and Broadsided Press’ NoDapl Compilation, as well as many other journals and anthologies. Her nonfiction can be found in High Desert Journal and Sustainable Play, as well as two anthologies. CMarie is the 2019 recipient of the Grace Paley Fellowship and winner of the Burns Award for poetry. She is a 2019 graduate of the University of Idaho’s MFA program where she remains as the Project Coordinator for Indigenous Knowledge for Effective Education Program. CMarie has lived most of her life in the Rocky Mountain West and resides now in West Central Idaho. CMarie is of Southern Ute and Italian heritage. Maggie Miller spent her early years in theatre, film, and television, including acting in productions of Juice, Spike Lee’s Girl 6, Homicide: Life on The Streets, American Reparatory Theater’s Henry IV, Part 1 and 2, Cherry Orchard, Susan-Lori Park’s Imperceptible Mutabilities of the Third Kingdom, and directing New Century Theater’s Seminar, and Crumbs from the Table of Joy. She is the co-founder of R.L.V.OracleArts, a non-profit organization committed to providing programs for under-served youth of the Tri-community area in Oracle, Az., utilizing the arts as a vehicle in the healing of trauma as well hosting local and international painters, sculptures, composers, and writers. She is currently attending the University of Arizona where she is a double major in Creative Writing and Film and Television with a minor in Africana Studies. Her book-length project, “Slicing the Serpent: Four Families and Their Struggle with Opioid Addiction”, will be published in 2019. Maggie is a second-generation resident of Rancho Linda Vista, an artist community in the high desert of Arizona.